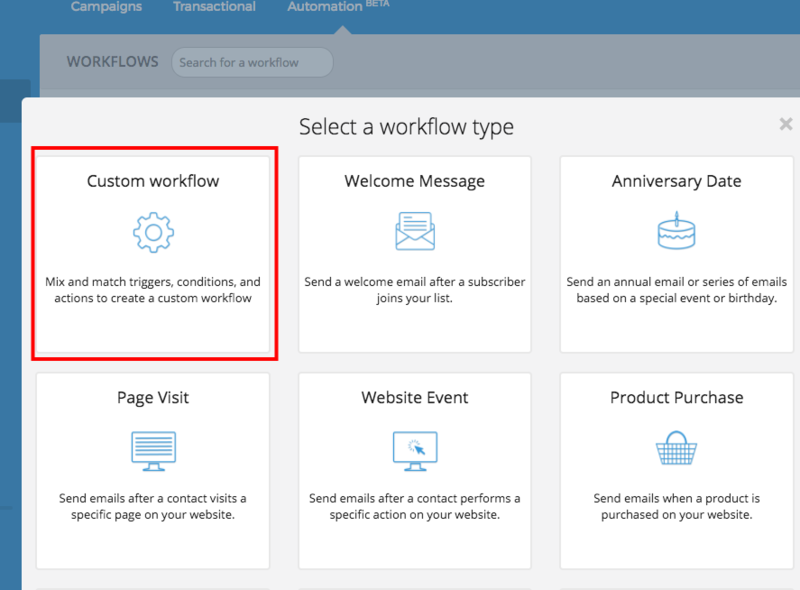 Your marketing automation workflows allow you to automatically manage the adding of contacts into specific lists. In this example, we're going to look at a paying customers list. The aim is to add all new paying customers to a "Paying Customers" list. To do this, you first need to define the contact attributes that you need for segmenting your lists. In this case, we'll use a Customer attribute that is either "Yes", if the contact is a customer, or "No" if they are not a customer. If the Customer attribute is "Yes", we want them to be automatically added to the Paying Customers contact list. Go to the Marketing Automation platform. Create a new custom workflow. The entry point matches the segmentation that you want to use to manage your lists. In this example, the entry point is "A customer matches a "Client" is "Yes" condition. To do this, you simply need to add an entry point such as "Contact activity/Condition on a contact's attribute". 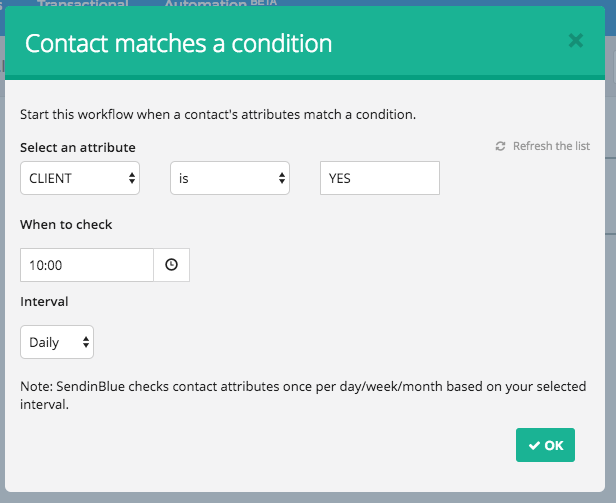 Next, select your attribute and condition for a contact to enter this workflow. In our example, we've selected "CLIENT" is "Yes". This workflow will automatically select the contacts with the CLIENT is YES at a specific date and time. You can check this condition every day or every week, etc. Here, we've chosen to check this condition every day at 10 am. Note 1: In your workflow's settings, you can choose to enter into the workflow contacts that meet this criterion on a once only basis, or every time they meet an entry criterion. Note 2 : if you have several attributes to manage your lists, we recommend using filters. Once your entry point has been validated, you can of course add other conditions or directly select the list to which you would like to add your contacts. Click on the "+" button under the entry point and select "Add the contact into a list". Then select your contacts list, in our example "Customers" then validate. 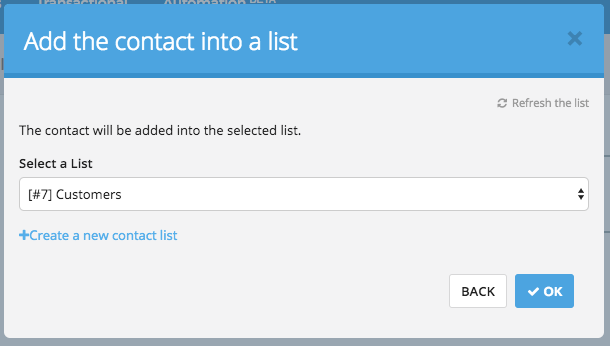 Activate your workflow to add new contacts entering into your lists and that's all there is to it!